Named after the famous blonde, the Marilyn Monroe Rose is a plant with plenty of style. This a very feminine rose and the name fits well. 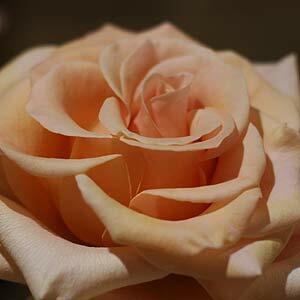 An apricot coloured hybrid tea rose named after Marilyn Monroe and bred by Tom Carruth. Large flowers and a citrus perfume make this an excellent addition to the garden. The Marilyn Monroe rose is a vigorous grower and will do well in hotter conditions. Reliable repeat flowering and hardy. Wonderful cut flowers and good glossy green foliage and it seems to be heat tolerant as well. Marilyn Monroe Rose is a fairly easy rose to grow. No special treatment is required. Prepare the soil well by digging in some well rotted compost and manure. Ensure that drainage is good. We do suggest staking the rose when planting to prevent the plant from rocking until the root system is established. Water in well with a liquid seaweed fertilizer. Fertilize your Marilyn Monroe Rose regularly each spring with a specialist rose food for best results.